THE AUS-MADE GOOGLE NEXUS TABLET HAS ME AT "HELLO"
Enter the Google Nexus Tablet made by Asus, which will be hitting stores at the end of June, 2012! With a possible price tag of $149, the cost of this tablet just dropped below my "minimum usefulness per dollar spent" bottom line. Up until now, I have not been able to come up with one single use that would push the cost of a tablet above the level of "need". It's an over-priced entertainment device. Right now, I can get by. I use my Samsung Galaxy S2 smartphone extensively, and I also have an HP laptop that I use in addition to my monster home computer. So a tablet just wouldn't be a good investment. Tablets have always intrigued me, but the price tag leaves little to be desired. When the first iPad was released, I was mesmerized. But not enough to blow $599 on something that might not get daily use. Overall prices have fallen quite a bit since Android tablets have entered the market, but I still can't say that I would part with my money to get one. I almost opted for the Kindle Fire at $199, but I want a raw Android device and not something that is geared towards consuming Amazon's content. 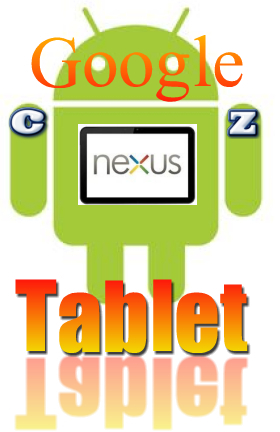 But for $149, you might see me in line waiting to purchase the Google Nexus Tablet made by trusted manufacturer Asus. Plus Google promises that this tablet won't just be a cheap alternative, but something of the highest quality. I tend to believe their promise. For that price, I can finally say that the utility would be above the vanity level. And I truly believe that there will be a lot of utility plus entertainment value with this Asus device. Since I use my smartphone to read a lot, I would find great use out of a 7" display to read articles on Pulse News, and on my favorite blog sites. With the extra screen real estate, I could also see myself using this tablet to manipulate several of my business spreadsheets. I would be more inclined to use the tablet for my daily budget activities rather than pulling out and booting up my laptop. On my next post, we'll talk about the specs that are rumored for the Galaxy Nexus Tablet, and why this device could be the best gadget deal of the summer!